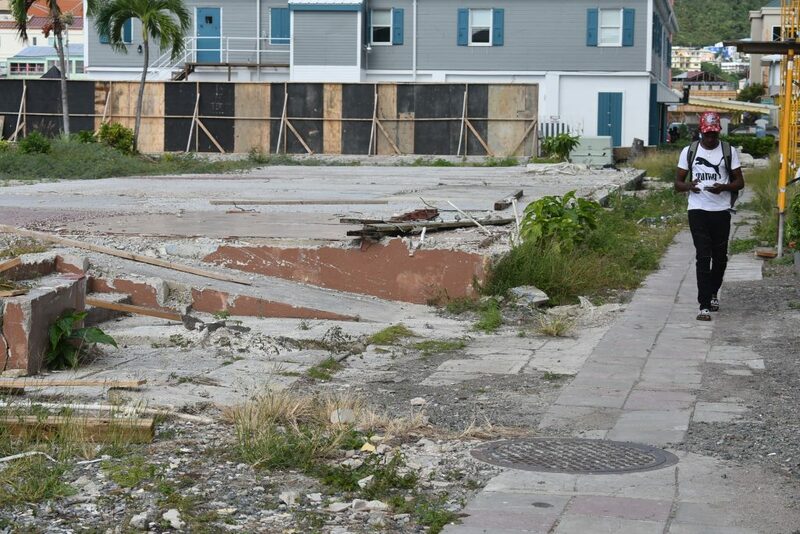 The government will soon invite proposals for rebuilding the Palm Grove Shopping Centre, which was demolished in August after being gutted by Hurricane Irma, according to Premier Dr. Orlando Smith. “Government’s intention is to have a building constructed in that area,” Dr. Smith said in response to a question from Opposition Leader Andrew Fahie (R-D1) last Thursday, Dec. 19, in the House of Assembly. or a private entity will finance the rebuild. Dr. Smith responded that a draft request for proposals had been submitted to the attorney general for review and said no contract had been awarded. centre indicated that the building should not be rebuilt in its condition at the time. lands have a 99-year lease arrangement. “The government will have to provide space,” Ms.